I love learning about local and internationally known photographer Alec Soth's personal transformation and insights about life, happiness, and purpose. Recently he gave himself a year for quiet contemplation that transformed his art making. On his new website he says his epiphany was when he realized that everything is connected. 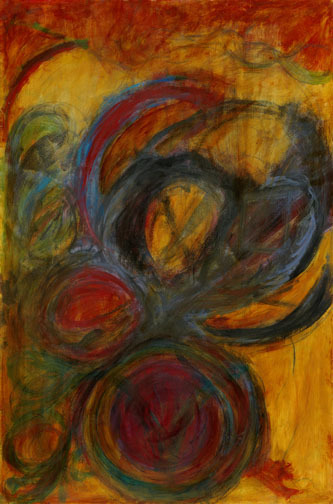 During a deeply creative period of mothering and painting, I had a dream in which I saw a large image of the infinity symbol and the form of a spider. I awoke from the dream with the profound understanding that everything is connected. That personal moment of clarity became this painting I called Endless Journey. I was honored to have it selected that year for the State Fair show. I wrote a short artist statement for the piece and included a passage from the novel, Howards End by E.M. Forster. In my Storyslices coaching practice, I encounter people exploring and seeking clarity, courage, compassion, and confidence as they navigate life. Finding your unique story, and fulfilling your purpose are profoundly interconnected. With our guidance, you can come to realize your own rich connections. You’ll live into your unique story and purpose.